The Kenzo jumper is something I have had my eye on for a while now. At around £185 it is one of the cheaper items on the wish list but it looks so comfortable and I love the bold tiger print. To match the jumper I also have my eye on this Kenzo phone case, I am actually off to Manchester soon and Leeds for my birthday so I think I may have to treat myself. £35 is definitely a lot to pay for a phone case but I just love this print. 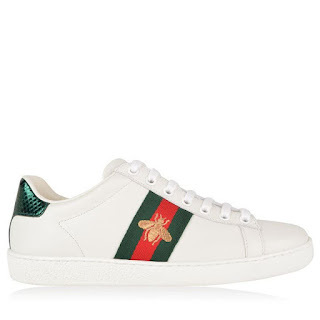 You will all know by now how much I love trainers and I have had my eye on these Gucci ones for a while now. They are £450 which is actually more than my mortgage is each month, so I really can't justify buying these unless I saved really hard and actually wore them unlike most of my trainers which are still in boxes. My final piece is the MCM belt, at £275 it is extremely pricey for a belt but I absolutely love the big M buckle and I love the print all around it. 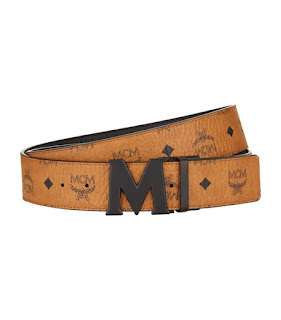 My current belts are really cheap quality and break really easily so I definitely want to upgrade the belts. I really do need to stop browsing the Flannels and End clothing sites as they are just making me want more and more items. I think I may have to save for a while for some of these items, but I really hope I can pick up a few in the future.